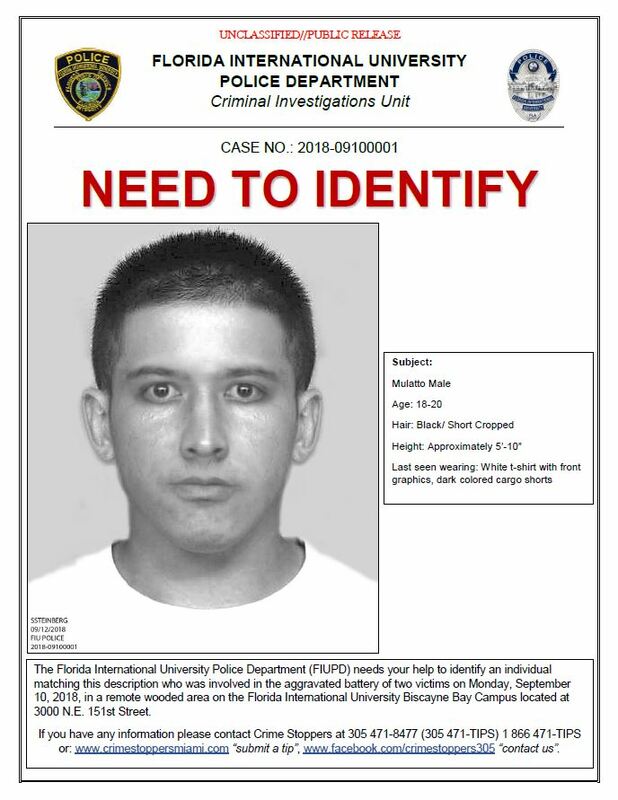 FIU Police is asking for the public’s help in identifying an individual matching the description and sketch below in connection with the BBC assault on Monday. CrimeStoppers also will be putting this out with reward information. For the safety of the university community, there is increased police presence on the campus. Police will continue to canvas the area using this new sketch. The investigation is ongoing.